Billy was in the shop this morning when an angler came in and reported that he got 2 fish, 20″ plus class on a leadhead with a rubber tail. He was fishing the river on the end of the outgoing tide. Other fish were caught but he couldn’t tell what they were using. 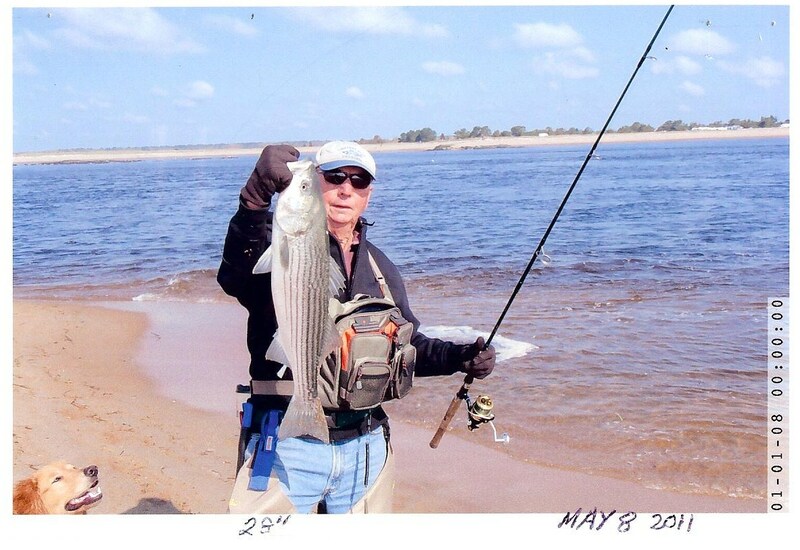 A 28″ fish was caught and released by Charlie Crew. It was a plump little fish. Nice fish Charlie! It would be nice to see what Surfland suggests using this time of year and you could point out WHAT YOU SELL!